I’ll admit it; I love cardigans. I love cardigans on myself, on little boys, and especially on babies. 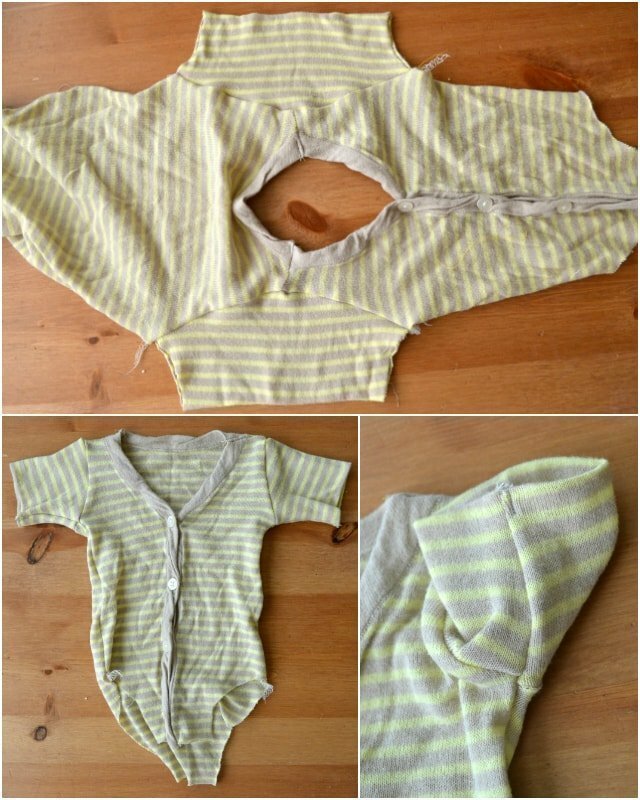 I had some girly cardigans in my stash that needed to be made into baby onesies for my daughter, so I made a free pattern and tutorial for you to make your own onesie cardigan! It’s even a simple and quick gift to make for baby shower gifts! 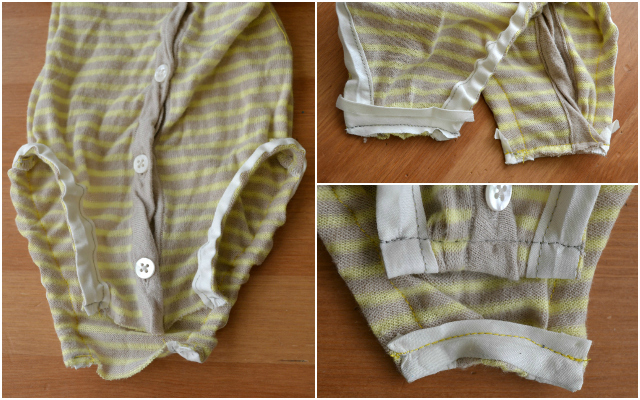 Use a cardigan with fun details to make an extra special cardigan! 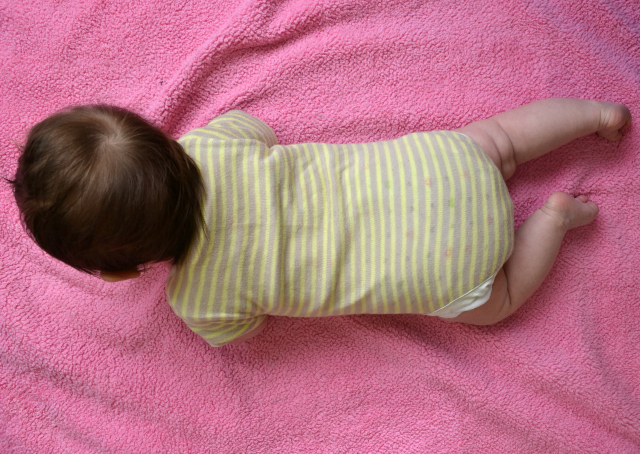 It’s great for layering and for tummy time. 1. 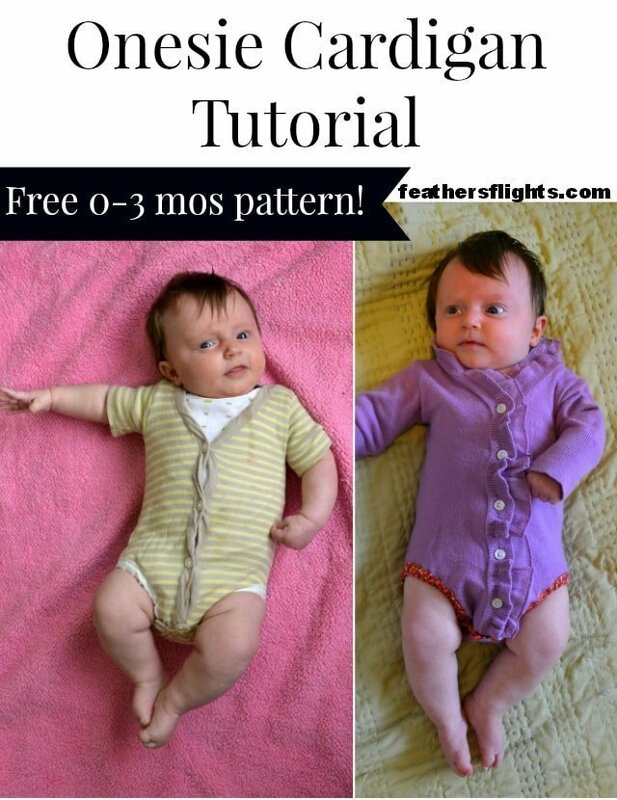 Use the pattern to cut out the onesie. Place the center front along the button placket and the center back along the center back. 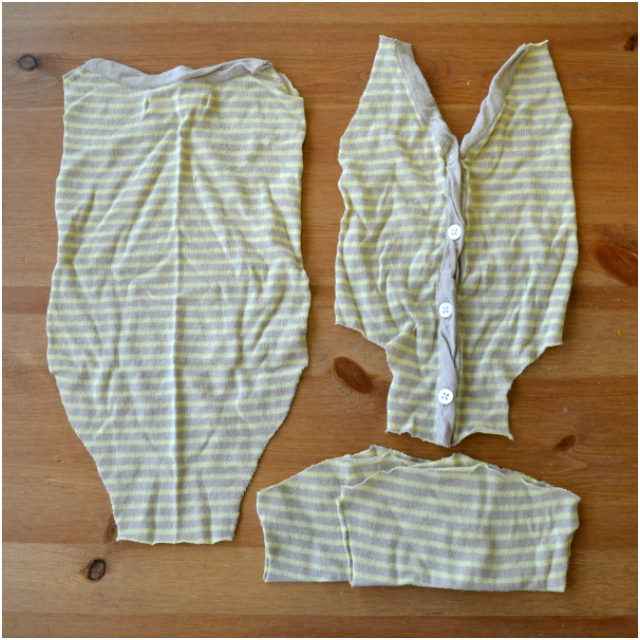 The sleeves can either be cut out along the sleeve cuff or fold the sleeve in half for a folded hem. 2. With right sides together sew the shoulders together. Finish the edges. 3. 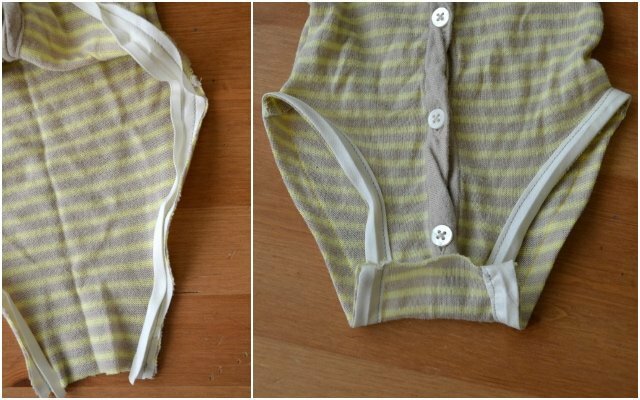 Tack the seam allowance towards the back at the neckline. 4. With right sides together sew sleeves onto the shoulders. Finish edges. 5. With right sides together sew sides together. Finish edges. 6. Tack the seam allowances towards the back. 7. Sew single fold bias tape onto the leg openings. 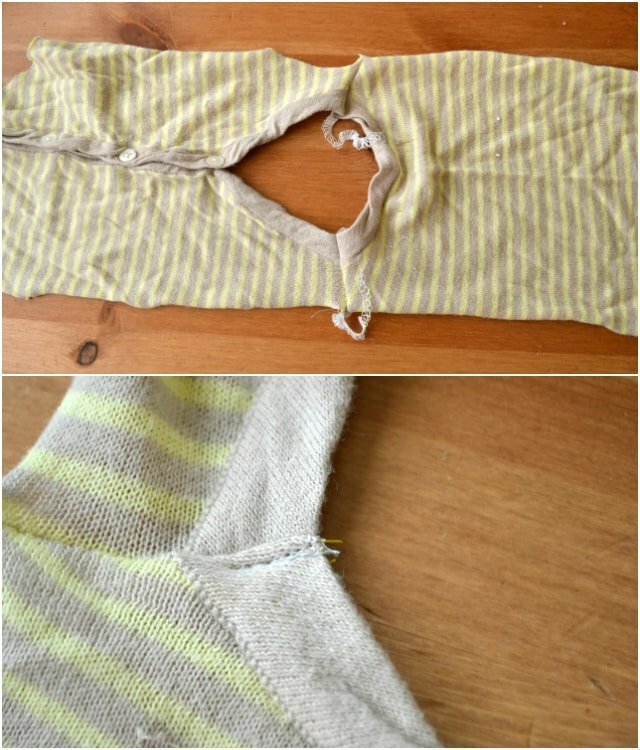 If you want it to show, sew it on the inside first. Then fold it towards the front and sew close to the edge. If you don’t want it to show, sew it on the outside first. Then fold it towards the inside and sew close to the edge. 8. Insert 10″ of elastic into each leg opening tacking at the ends. 9. Use the bias tape to finish the edges of the crotch. When you sew it on, fold the bias tape around the edges to give it a finished edge. 10. Attach some snaps or add buttons or buttonholes! 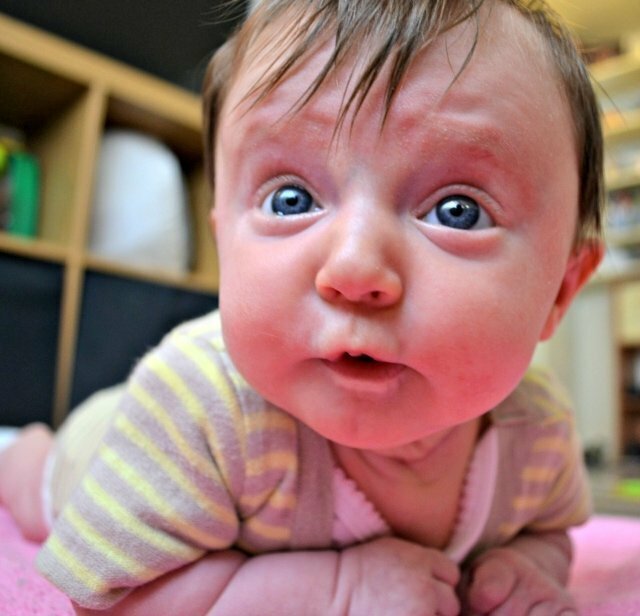 Put the onesie cardigan on your baby to enjoy all the adorableness! 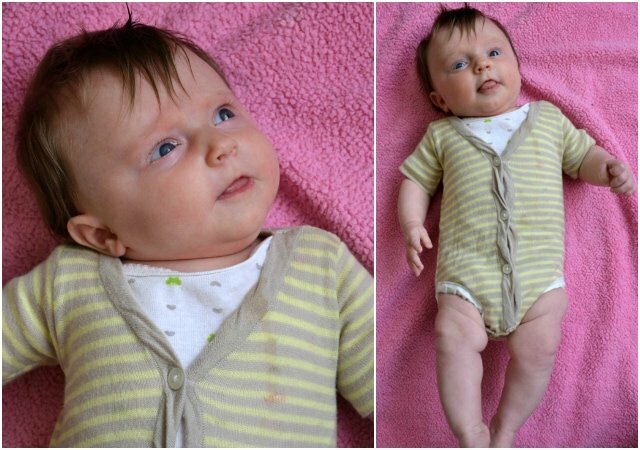 Look at those perfect baby legs in an adorable onesie cardigan! 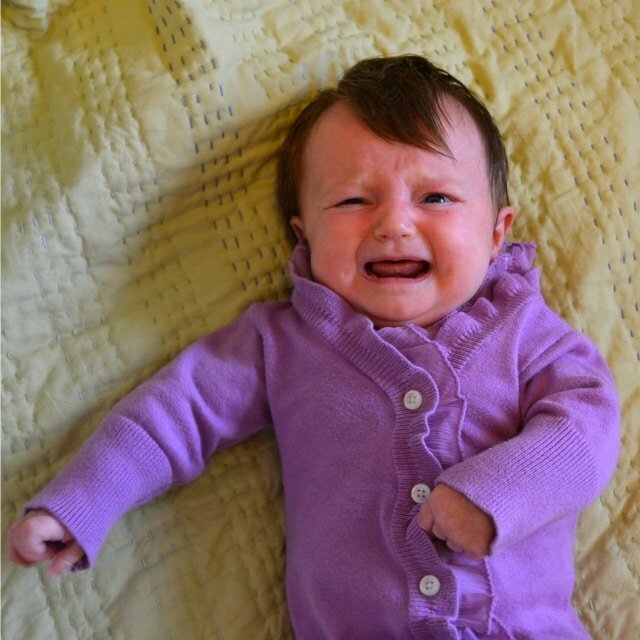 I tried to get a smile, but she cried whenever I put the camera up to my face. It's super cute! As is the model. 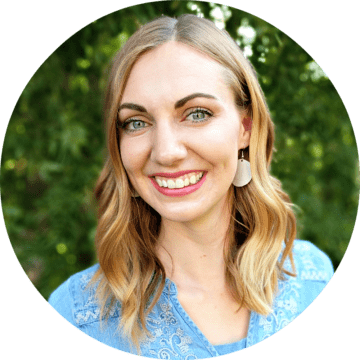 Always sharing great ideas Heather! And Claire, oh my she's just adorable! <3 very cute. did you use snaps at the crotch seam or just sew it together and the elastic in the legs made it able to slip on& off? Soooo super cute, I love this idea!